An English Oak Tree Hindhead, Surrey. 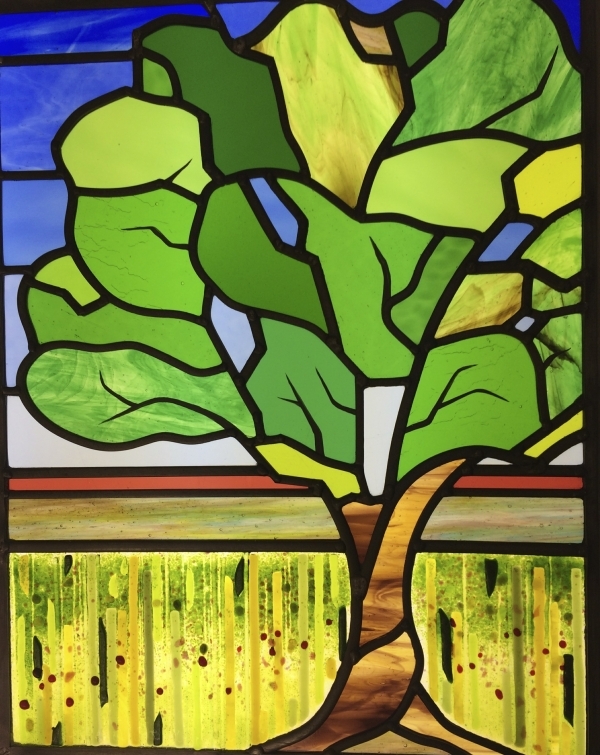 My customer wanted to depict their own oak tree in leaded glass. 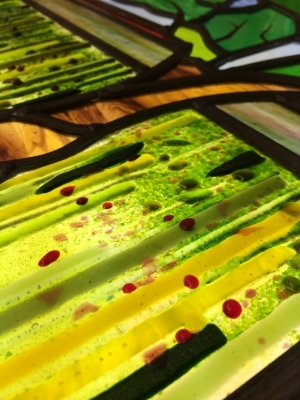 There is some traditional stained glass painting on the tree to add a few more branches and at the base it a lovely area of fused glass. 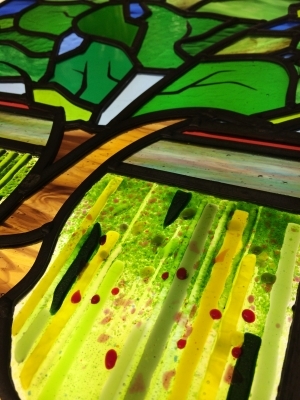 The fusion adds real texture to the panel and depicts a summer meadow. The light catches the grasses and flowers and the panel really sparkles. 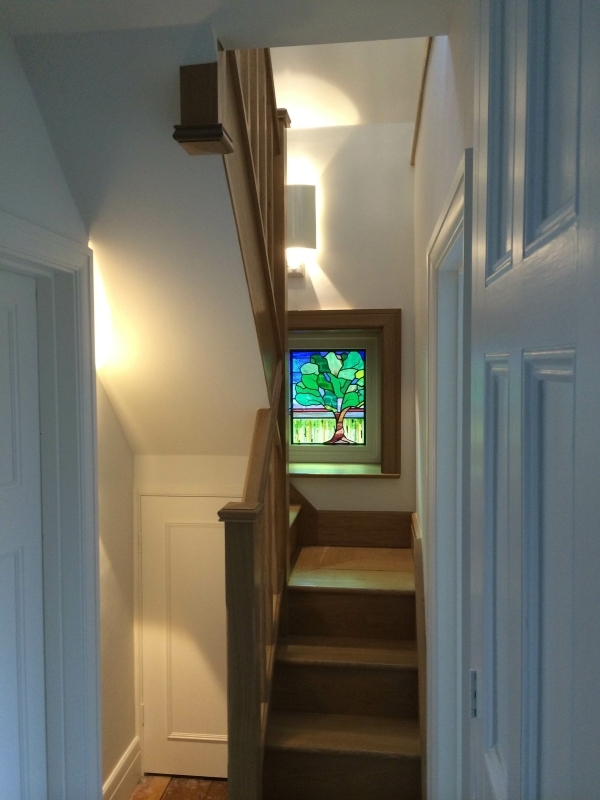 The window is on the stairs and looks lovely in the morning light.